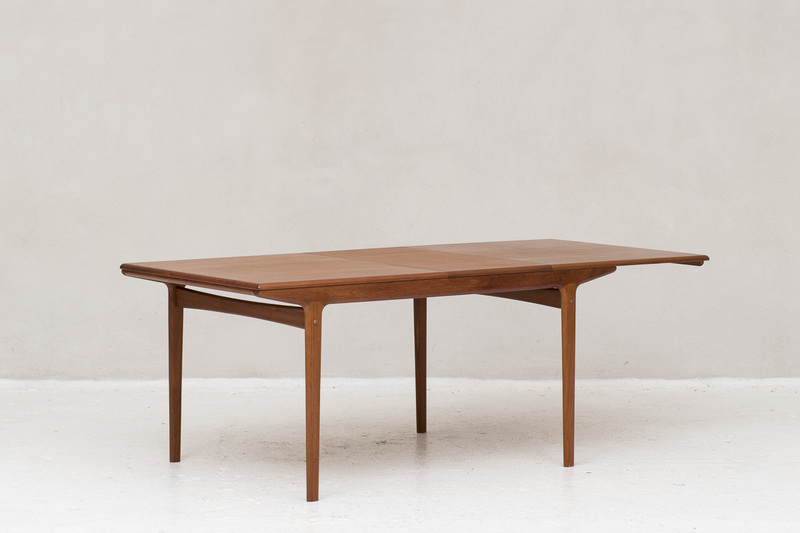 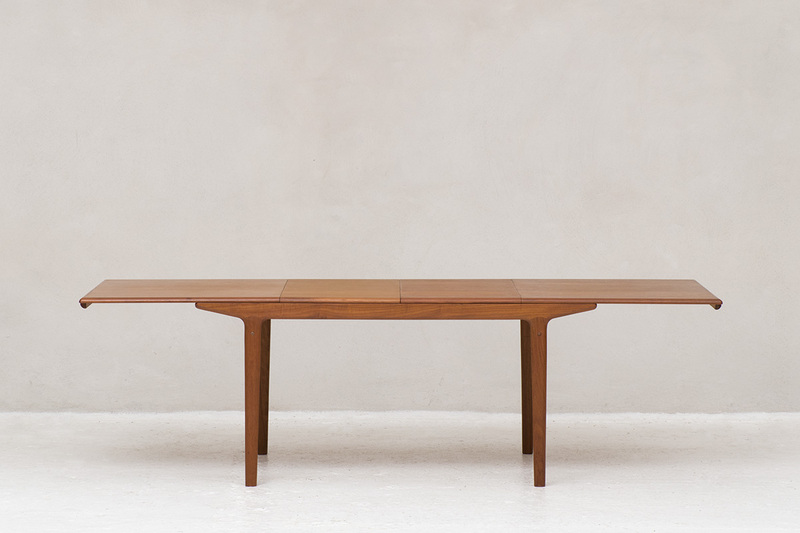 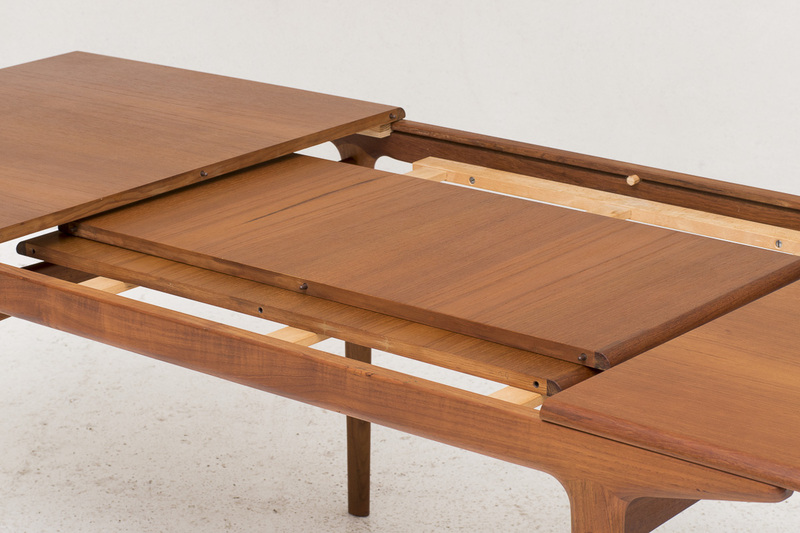 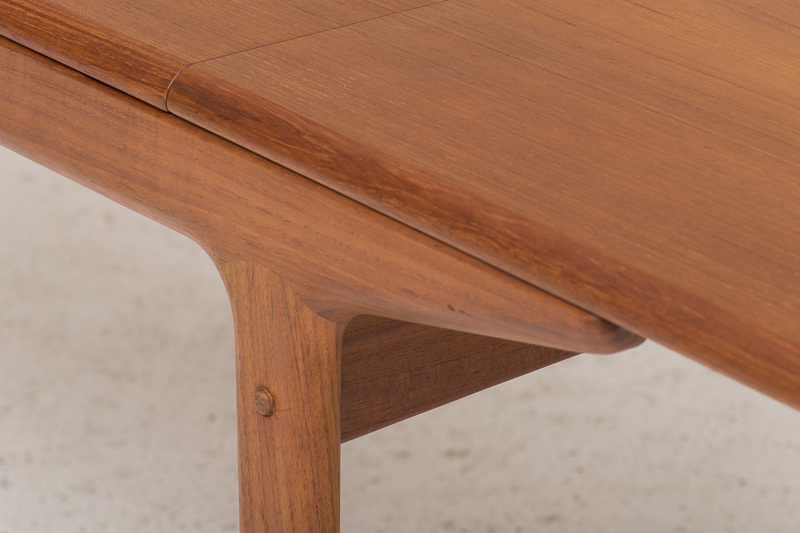 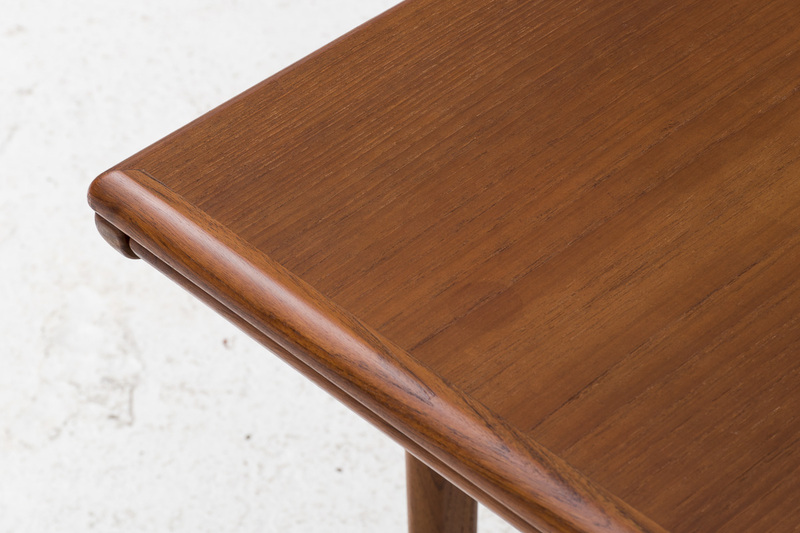 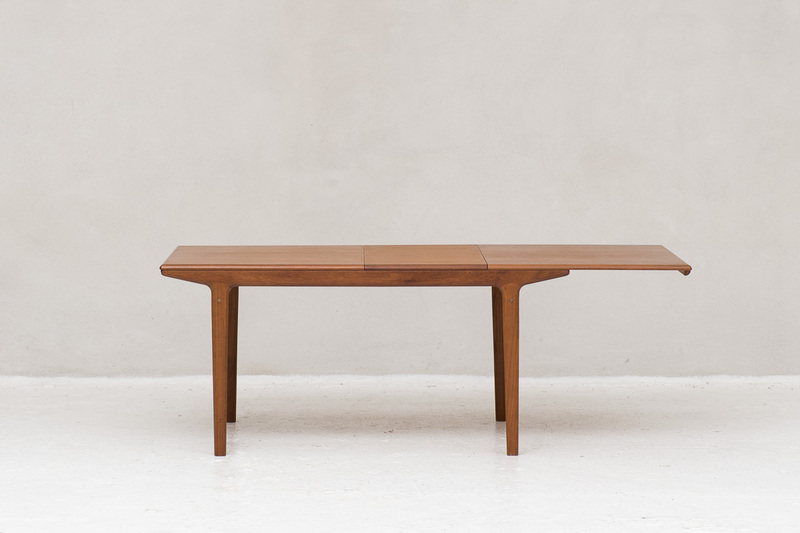 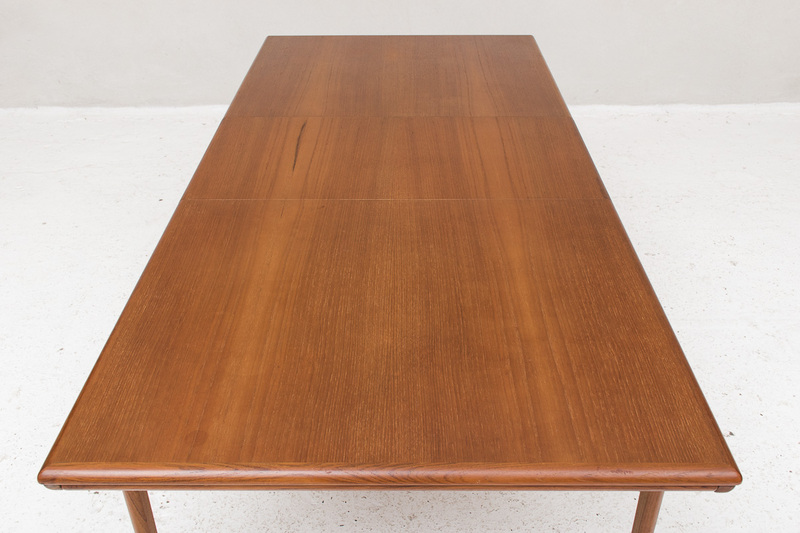 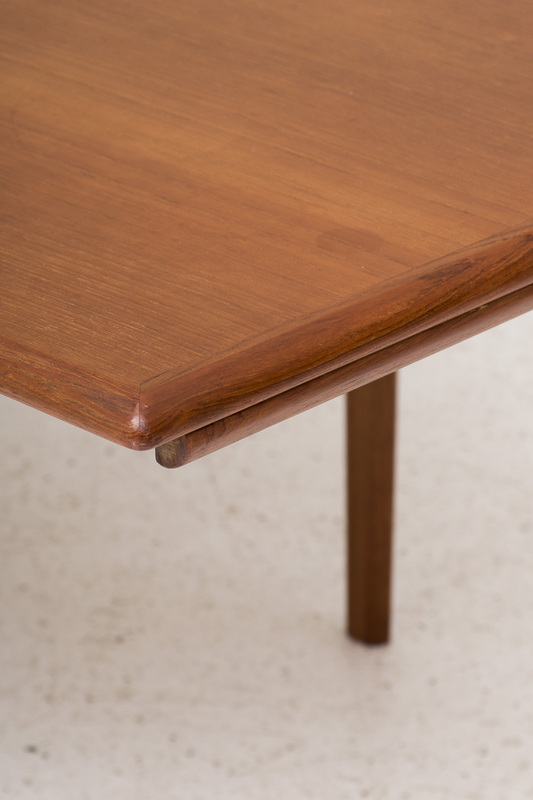 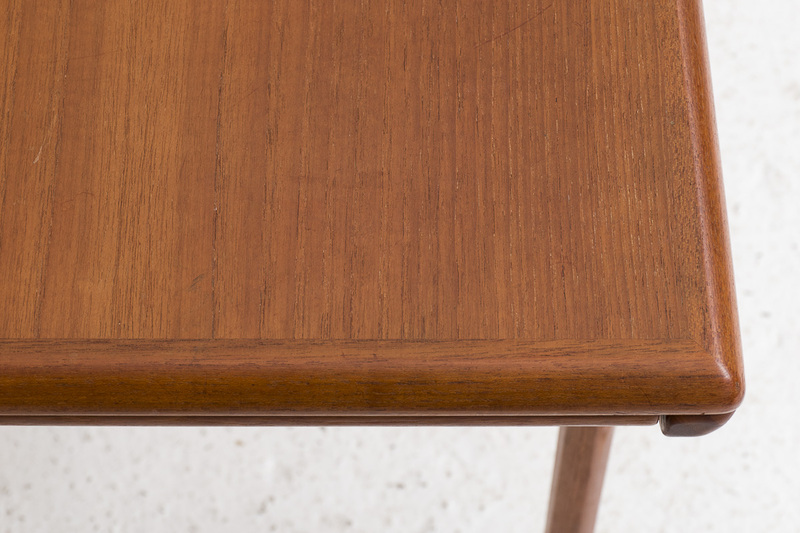 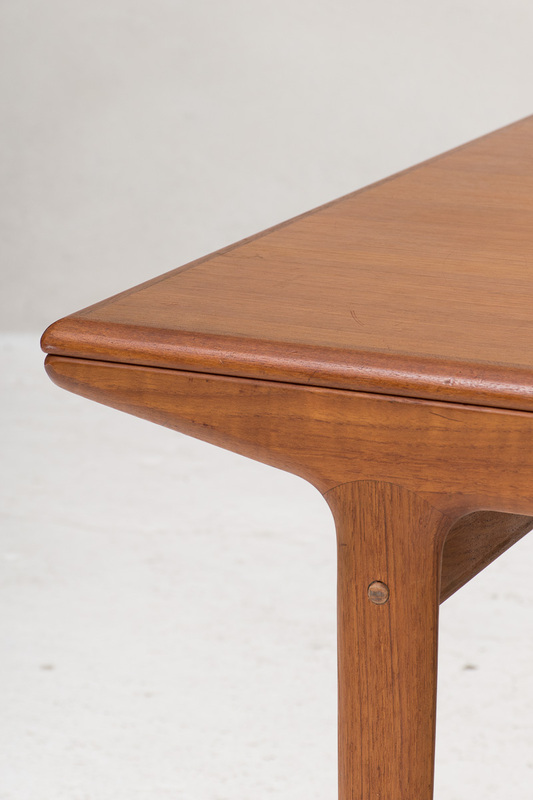 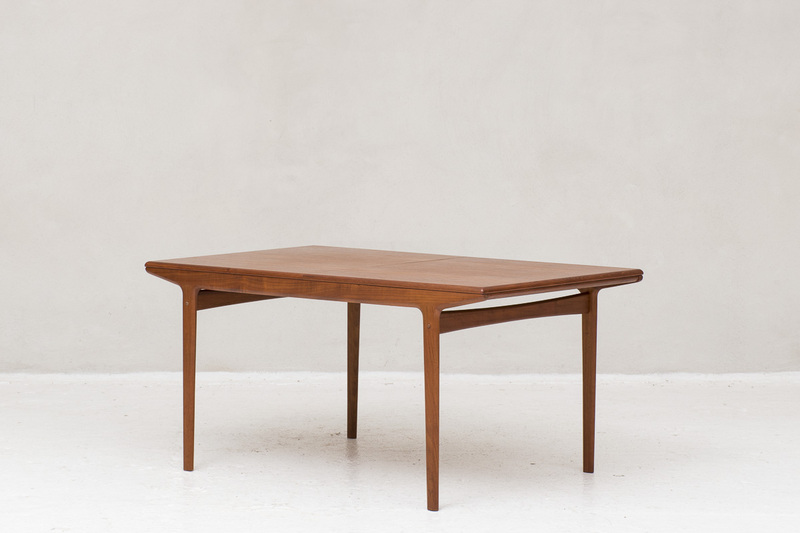 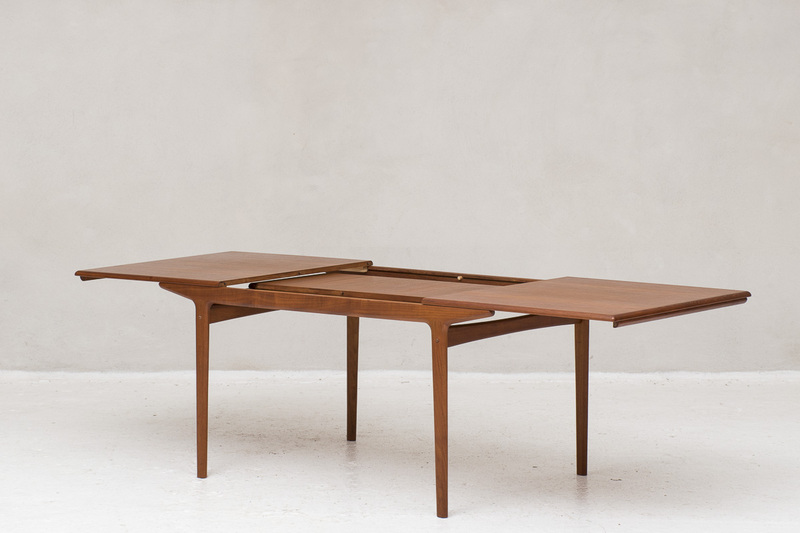 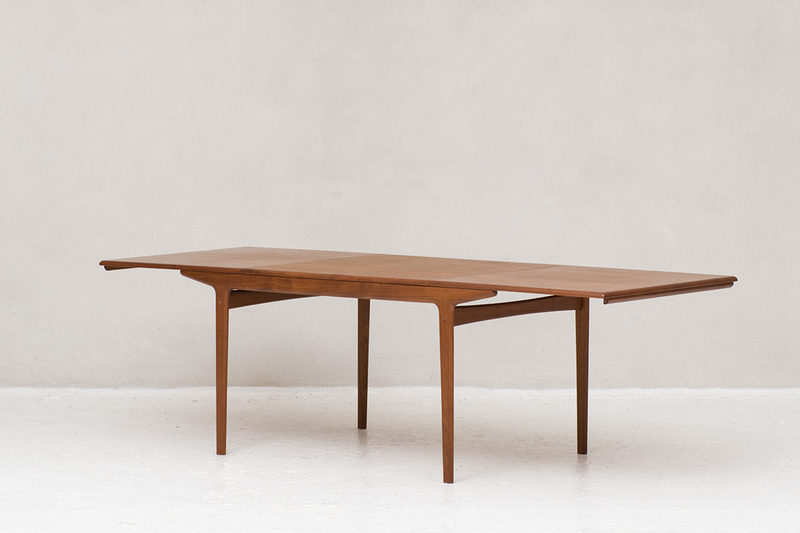 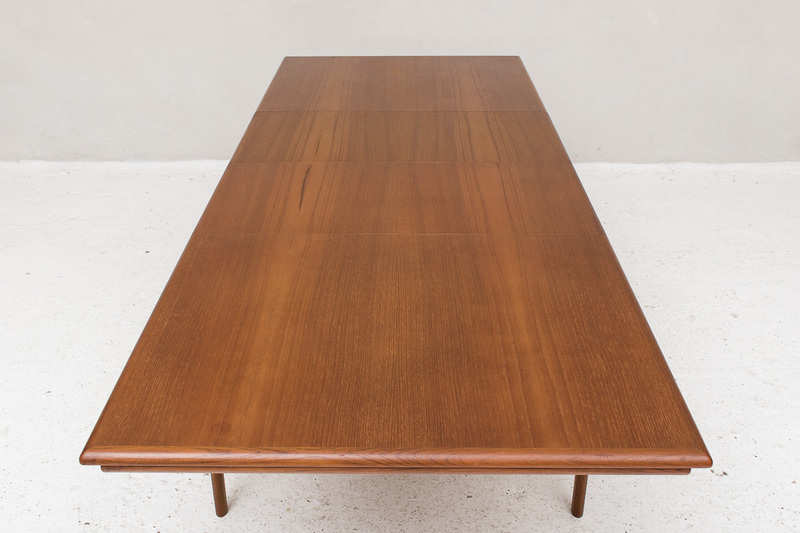 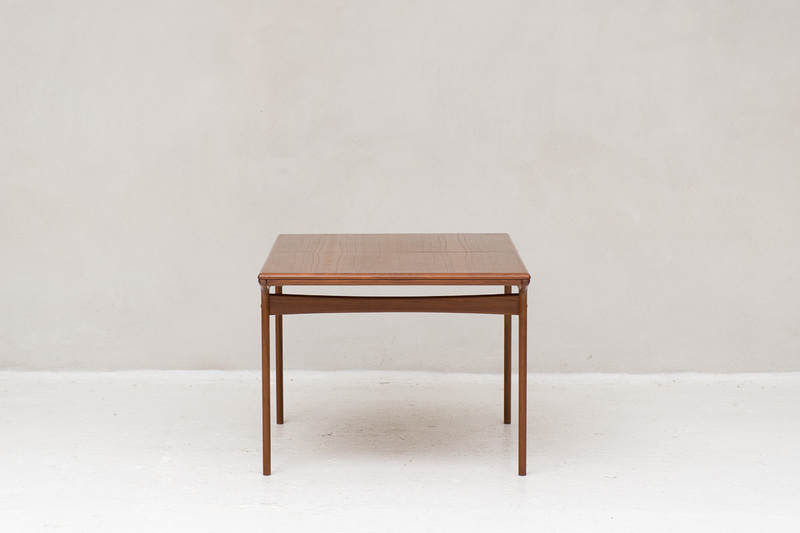 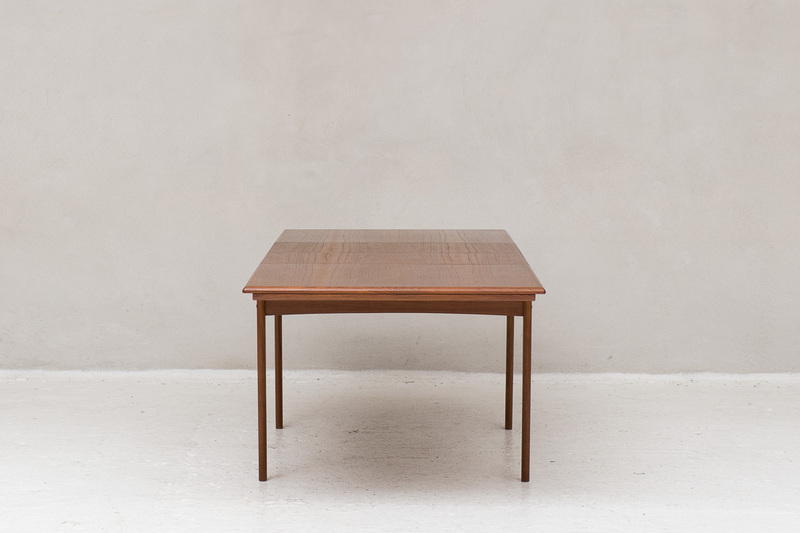 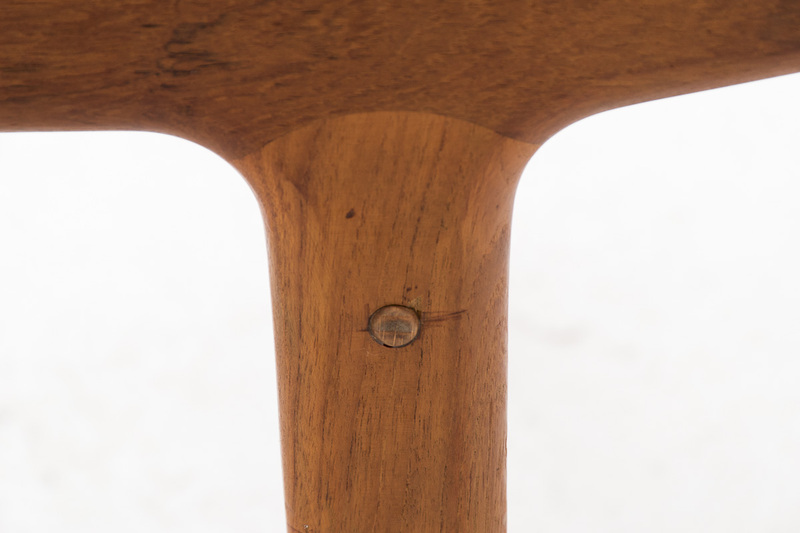 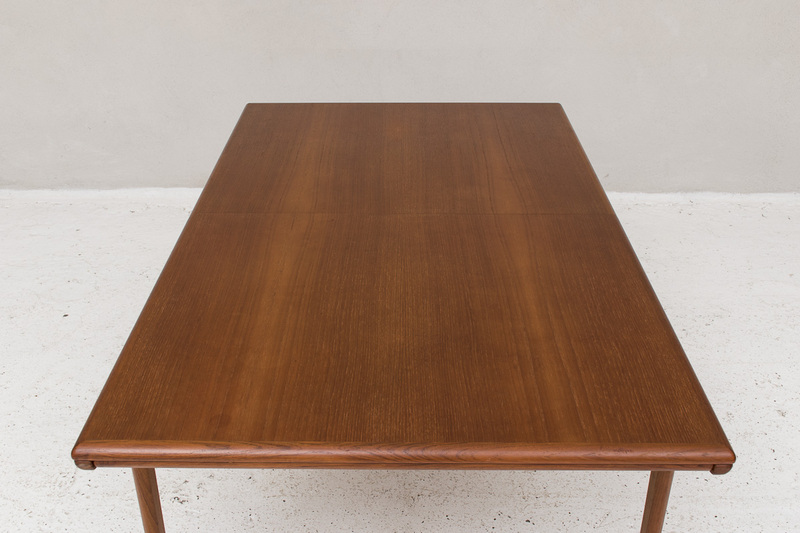 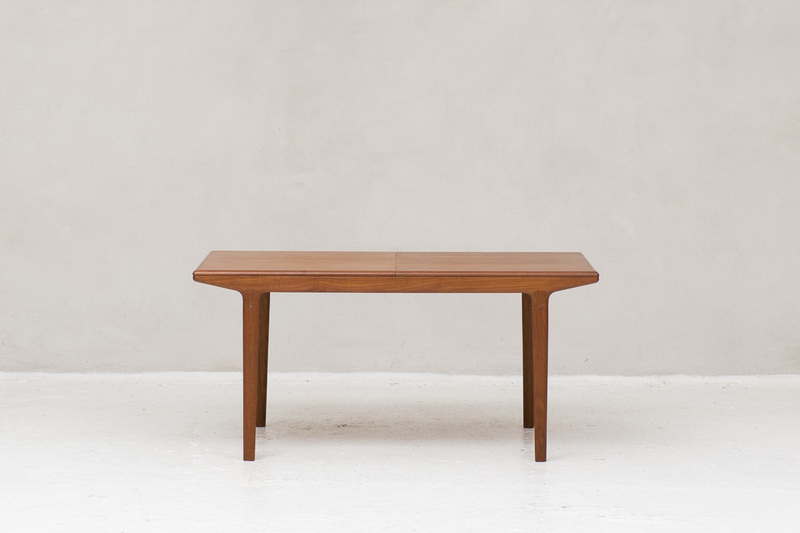 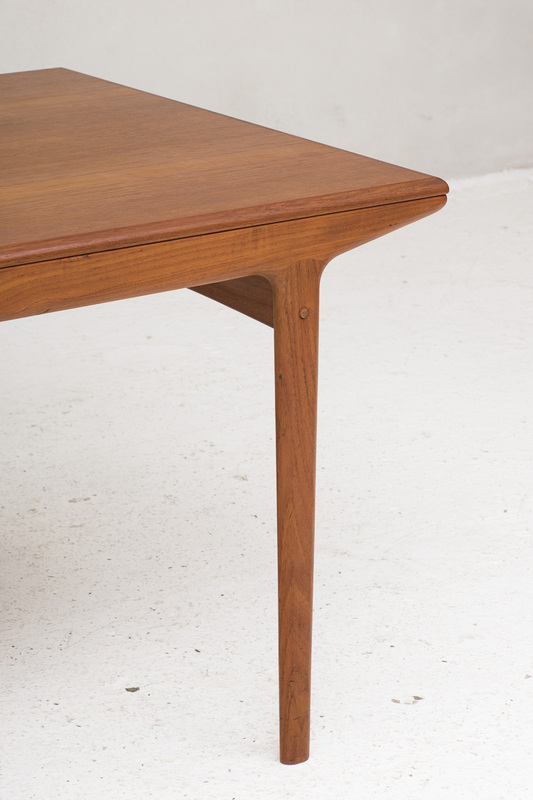 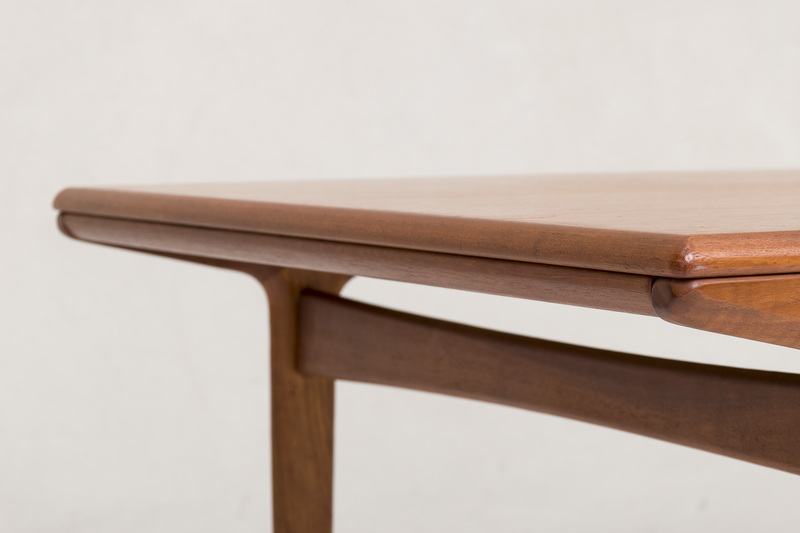 Large dining table designed by Johannes Andersen and produced by Uldum Mobelfabrik in Denmark around 1960. 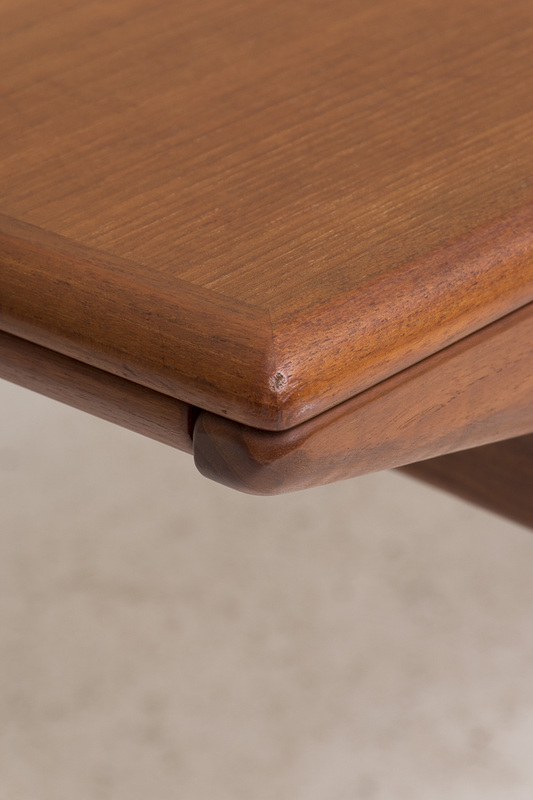 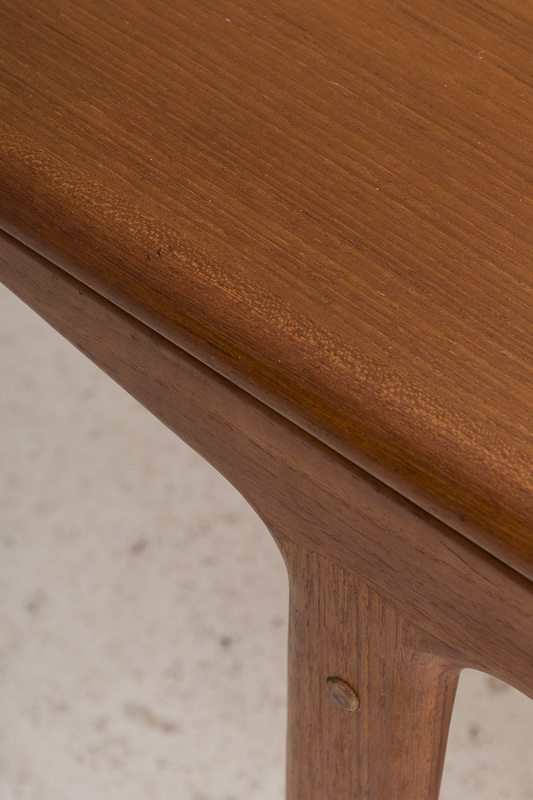 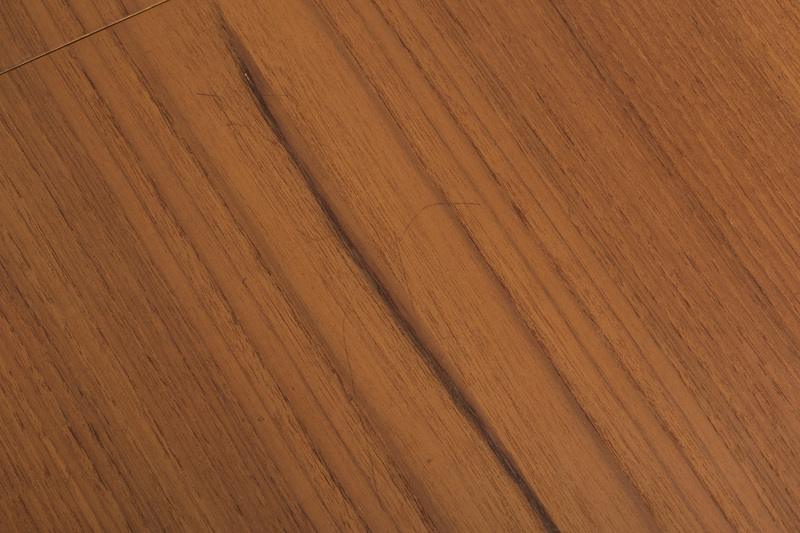 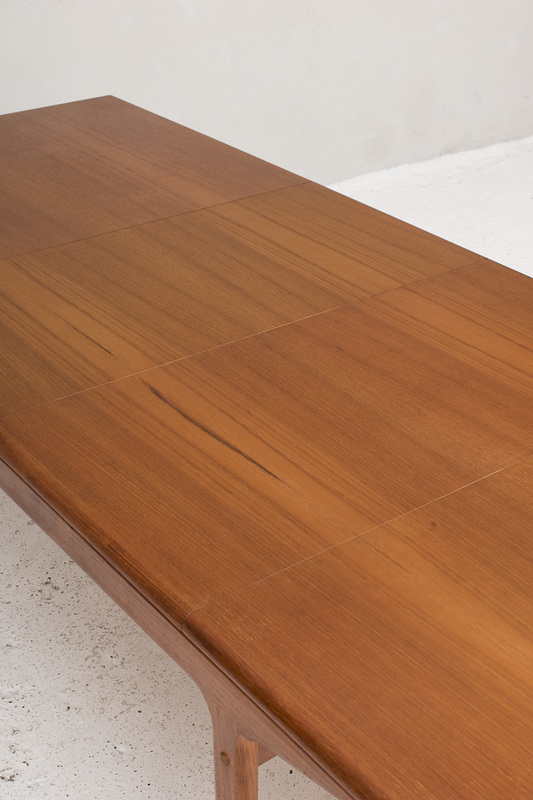 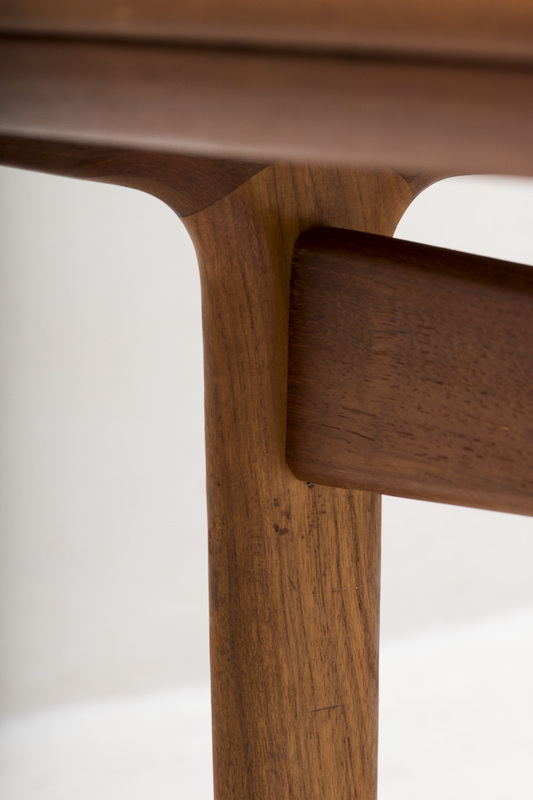 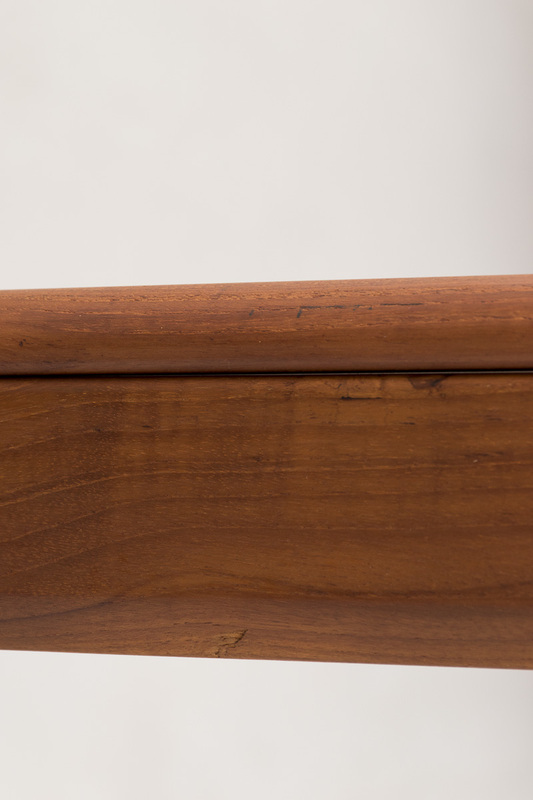 Solid teak frame and teak veneer. 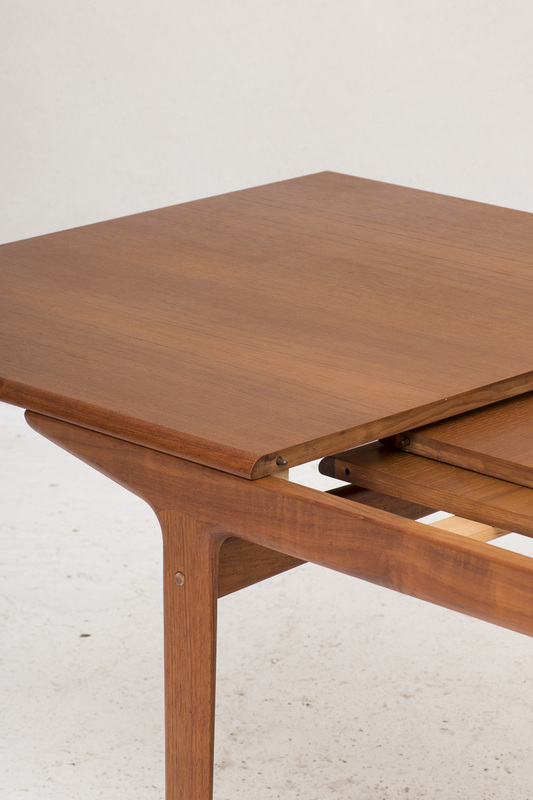 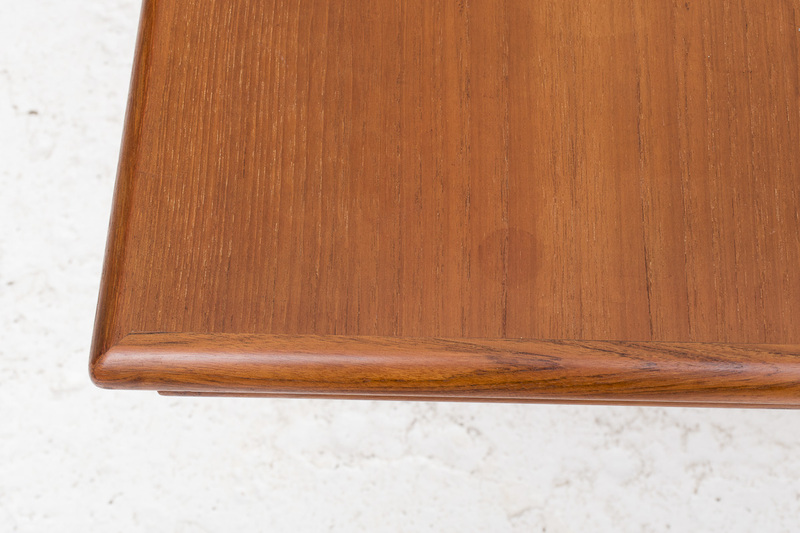 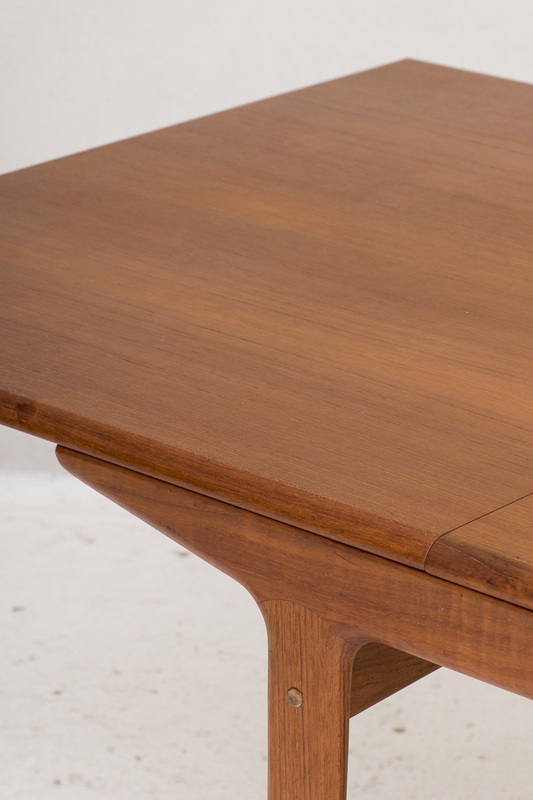 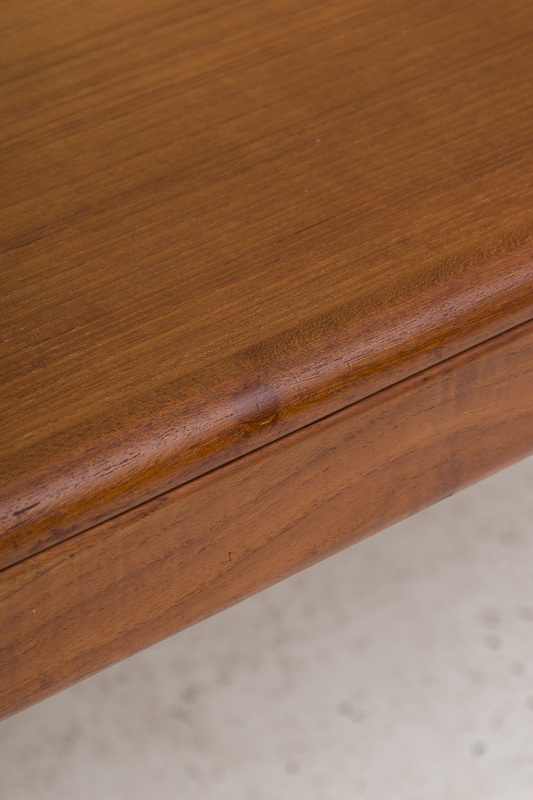 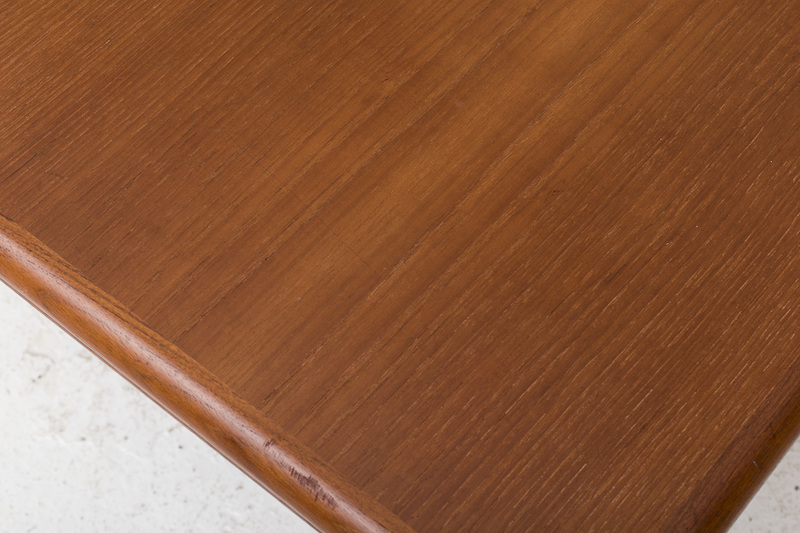 Extendable with two leaves which are stored underneath the table top.